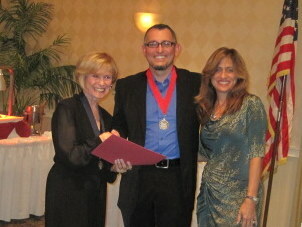 Sarasota, Saturday, November 5, 2011: At the Florida Publishers Conference, Chris Angerman, President of the Association announced that Bette Lee Crosby’s novel “Cracks in the Sidewalk” was the winner of the 2011 President’s Book Award for Adult Fiction. She was presented with an award certificate and Gold Medal commemorating the event. In 2011 the President’s Book Award competition was open to all Florida writers, publishers and literary agents as well as Association Members so the number of participants was almost doubled and the competition fierce. The Adult Fiction category, included romance, mystery, and suspense along with the women’s fiction Crosby specializes in writing. The independent Judging Committee consisted of mostly librarians and industry professionals. In Addition to the President’s Book Award, “Cracks in the Sidewalk” also took first place honors in the 2009FWA Royal Palm Literary Competition. 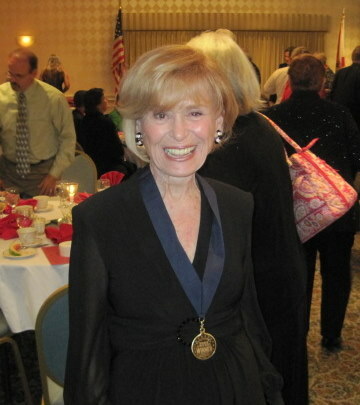 In all, Crosby has won four awards for her published work which includes “Girl Child” and “Spare Change” in addition to “Cracks in the Sidewalk” in 2011 she won another Royal Palm Literary Award for the manuscript of “What Matters Most” a novel that is scheduled to be published in 2012. Crosby is a featured author on Amazon and Goodreads and her novels are also available through Barnes & Noble. In addition to the print versions, e-books for Kindle and Nook are now available. Crosby herself swears by her Kindle. “Although Kindle will never totally replace traditional books,” she says, “there is much to be said for the convenience and immediate gratification they offer the reader.” The award-winning “Cracks in the Sidewalk” and her newest novel “Spare Change” are currently on sale at Kindle books for the introductory cost of $2.99.